Randy Marten is the owner and principal of Food Ingredient Advisors, a consulting company providing risk management and strategic services to the food processing industry. Marten is also a partner and board member in Los Angeles based frozen food manufacturer, Culinary International. He retired after a 43-year career in the food and agricultural industry. For 19 years, Marten served as executive vice president and COO of Miller Milling Company, a private Minneapolis-based flour milling company. Marten’s career also included time with Ralston Purina, Consolidated Grain and Barge and Campbell Taggart Baking, an Anheuser-Busch company. 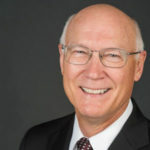 He has served on many agricultural boards, including the Minneapolis Grain Exchange board, USDA Federal Grain Inspection Service Advisory Board, Wheat Quality Council and the American Bakers Association Commodity Task Force. He has also served on the University of Illinois Alumni Association board of directors and the national board of Alpha Gamma Rho fraternity. Marten grew up on a family farm in central Illinois and currently manages the operation. He received a degree in agricultural science from the University of Illinois. He is an avid golfer and road bike cyclist, logging as many as 2,000 miles in some years. He and his wife, Bobbi, split their time between St. Louis and Dallas. They have a daughter, Joanna, who resides in Seattle and works for Amazon. The Martens enjoy cruising and have traveled to many exotic destinations around the world over the years.